Hi, Damian Garbus here. Now I’m drinking cafe latte in “Moment Wola” in Warsaw, and I think it’s the best moment to write a new article. 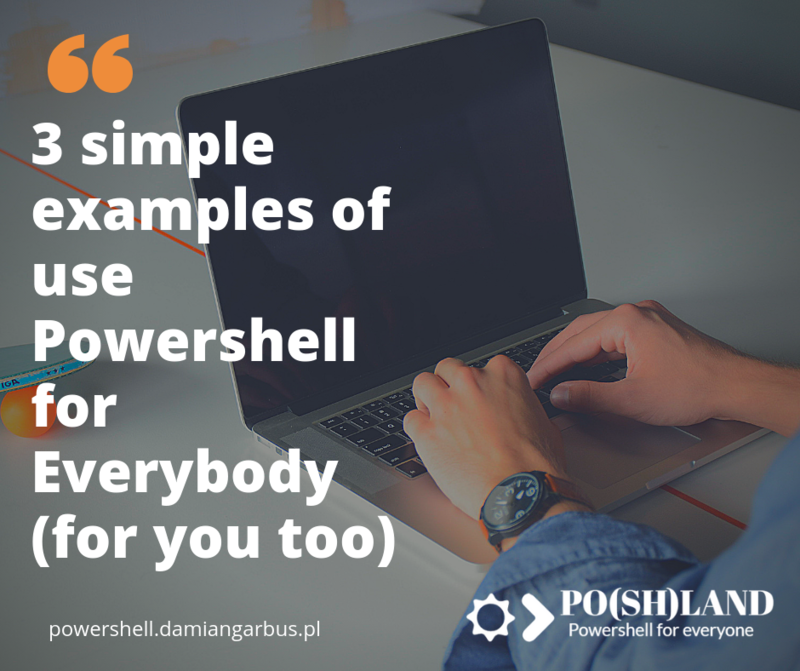 Today I will show you my 3 simple examples of use Powershell for everybody which can be used. Doesn’t matter if you are an IT Geek or only working with excel and don’t care servers in your company. 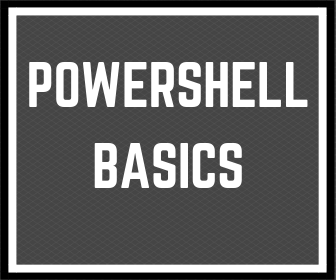 If you want to know what is Powershell, please read my last article What is Powershell (is not only for tech Geek). Everybody should secure password and change password cyclically. I use KeePass to store my passwords and don’t remember them. OK, but I know that my laptop may break down or can be stolen. So I use Powershell to write a small script to backup my database with my password to my Nextcloud in the home (private network hard drive) so even if my laptop will be stolen I have my password in my home and can open in another device. The script is very simple and is running every Tuesday and Friday from Task Scheduler. If you haven’t use Task scheduler before check “What is Task scheduler”. So I use a simple Powershell script to copy my Passwords database and I don’t have to remember about it. I use Jira to organize my team tasks. It’s a web app to create tasks and report time spent on them. These tasks can be categorized in projects, thread etc. Unfortunately, I can’t create many tasks in one moment. As a result, if someone wants to create more than one task can create a CSV file and import it. My alternative is Powershell script with the menu to choose a project and create many tasks in one moment. I don’t have click one by one or create a CSV. It’s saving my time for it. It’s really helpful to start a new project and creating tasks for me and my team. 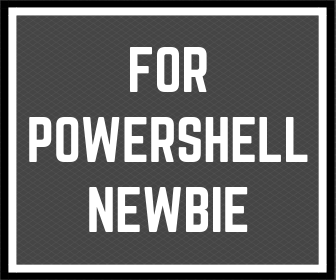 It was my 3 simple examples of use Powershell for everybody. What do you think about these examples? If you are using Powershell in everyday work please write in comments. 2 replies to "3 simple examples of use Powershell for Everybody (for you too)"
HI Manoj, Thank you for the feedback.